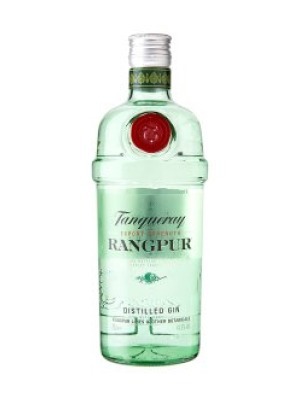 Tanqueray Rangpur Gin is a popular Gin available from Amazon.co.uk in 70cl to buy online. Visit Amazon.co.uk for the best price for 70cl of Tanqueray Rangpur Gin or compare prices on our other Gin products. The aroma of sweet, warm citrus and a soft, rosy bouquet is an open invitation for a long, slow sip. The botanical nose continues as light waves greet the palate and open to a peak of juniper accented with bold, zesty lime. The airiness gives way to a finish of warm, dark rainbow of citrus, notably lime and lemon, and a short punch of juniper to top it off. A deliciously refreshing gin, great for simple mixed drinks pairing especially well with cranberry juice or ginger ale. Where to buy Tanqueray Rangpur Gin ? Tanqueray Rangpur Gin Supermarkets & Stockists. You can buy Tanqueray Rangpur Gin online in most retailers and find it in the Gin aisle in supermarkets but we found the best deals online for Tanqueray Rangpur Gin in Amazon.co.uk, Tesco Groceries, DrinkSupermarket.com, TheDrinkShop, and others. Compare the current price of Tanqueray Rangpur Gin in 70cl size in the table of offers below. Simply click on the button to order Tanqueray Rangpur Gin online now.